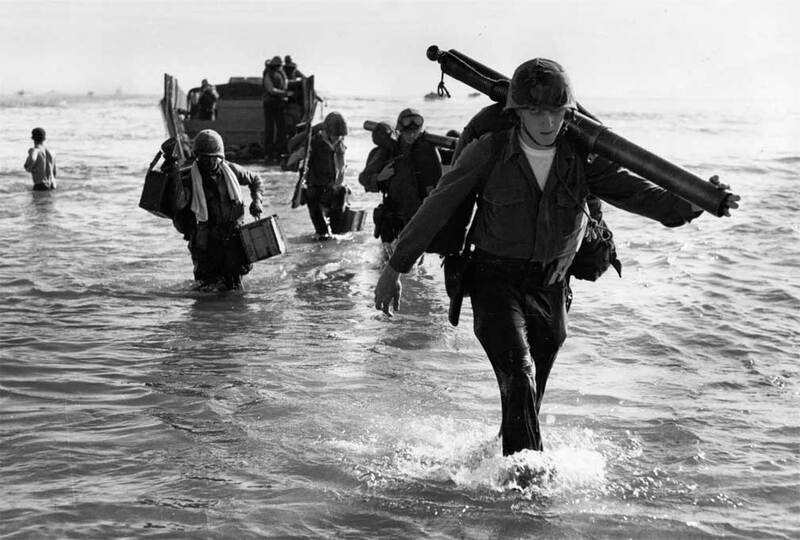 The first US Combat Troops arrived in Viet Nam on March 8, 1965. While there US forces had been involved in fighting until then, these were the first of the official contigent of 3,500 combat troops sent by President Johnson to Vietnam. Once US airstrikes began against North Vietnam an new problem developed. How to secure the American base in Danang that many of the attacks were launched from. The navy aircraft carriers were safe but there were thought to be thousands of Vietcong near the base. General Westmoreland asked for 3,500 troops to defend the base. Ambassador Taylor objected saying “ it will be very difficult to hold the line once the first deployments began”. President Johnson overrode Taylors concerns and ordered the troops deployed. On March 8, 1965, 3,500 Marines landed on the beach of Vietnam as if they were landing in Normandy.